HAVE QUESTIONS ABOUT APPLYING FOR LIGHT CITY? 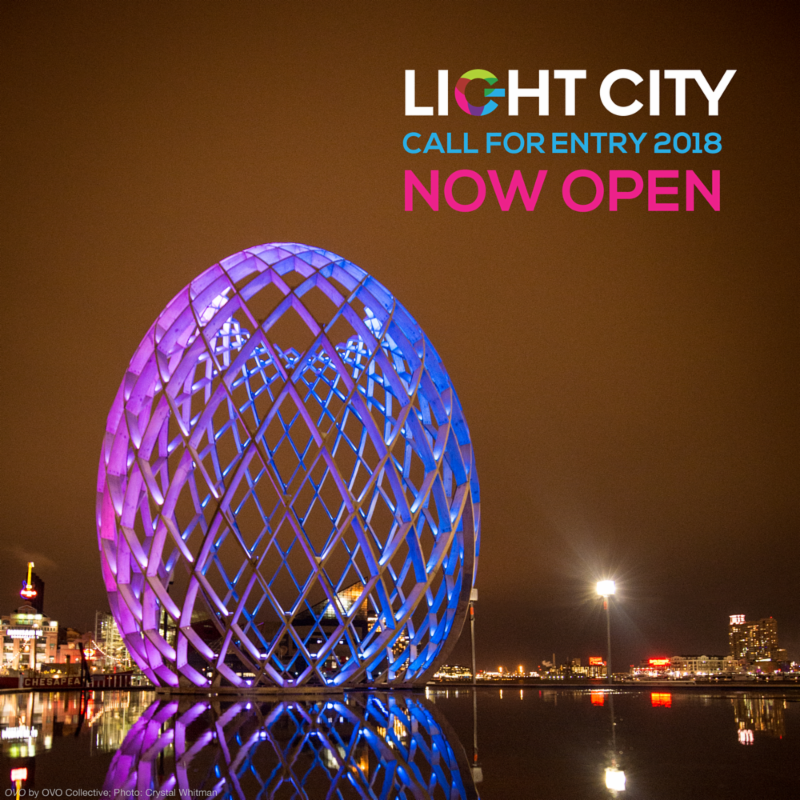 Attend a Light City Info Session! Info sessions are designed to give interested artists and community members a better understanding of how to submit a proposal for Light City. for those who can't attend, this info session will be live streamed on Light City's Facebook. *To reserve two free drink tickets for the happy hour portion, please RSVP to amolese@promotionandarts.org. The Baltimore Office of Promotion & The Arts seeks proposals from artists and Baltimore City neighborhoods interested in participating in Light City 2018. The third annual Light City, a festival of light, music and innovation is set to take place in Baltimore Saturday, April 14 through Saturday, April 21, 2018. The following calls for entry are open: BGE Light Art Walk Call for Entry and Neighborhood Lights Community Expression of Interest. For more information, visit www.lightcity.org.